Toronto, December 11, 2018 – In the 18th edition of its Technology, Media and Telecommunications (TMT) Predictions, Deloitte forecasts the rise of the smart speaker—internet-connected speaker with integrated digital assistants—in Canada. While smart speaker adoption in the country is currently at nine per cent, Deloitte anticipates further adoption when language barriers are overcome and Canadians truly understand the devices’ capabilities. Smart speaker adoption in Quebec is almost half that of the rest of the country, and of six countries surveyed, most people used the technology to play music—except in Canada, where people use smart speakers to check the weather. Deloitte predicts the industry for smart speakers will be worth US$7 billion in 2019. At a 63 per cent growth rate over 2018, smart speakers are poised to become the fastest-growing connected device category worldwide. Deloitte predicts that companies will accelerate their usage of cloud-based artificial intelligence (AI) software and services in 2019. Although Canada doesn’t have the size and scale to realistically compete head-to-head with the global tech cloud giants, it will likely supply technology to those who’ll be providing AI through the cloud. Canada will also see a democratization of AI capabilities and benefits that had previously been the sole preserve of early adopters. As a strong global leader in AI, Canadian innovation and talent can drive the growth of AI through the cloud, most likely at the applications level, with a focus on enterprise software. Of the global companies already using AI, 58 per cent are using cloud enterprise software plus AI, which is predicted to rise to 87 per cent by 2020. Globally, sports gambling is a US$200 billion industry. In Canada and the United States, TV sports watching and gambling is increasingly popular among 18-34-year-old-men, although Canadians tune in slightly less than their American counterparts. In the US, 73 per cent of Americans who bet on sports at least weekly are much more likely to watch the event on TV, compared to 59 per cent of Canadians. Deloitte predicts that of the demographic who watch TV sports, 60 per cent will also bet on it—and the more often they bet, the more they’ll watch. Deloitte’s annual TMT Predictions provide an outlook on key trends in the technology, media, and telecommunications industry sectors worldwide. They're based on global research, including in-depth interviews with clients, industry analysts, global industry leaders, and Deloitte member-firm TMT practitioners. Last year, Deloitte was 90 per cent accurate with its TMT predictions. Hold onto your handsets: 5G heralds a much faster world – 2019 will be the year in which fifth-generation (5G) wide-area wireless networks arrive in scale, offering higher speeds than its 4G predecessor. That’s likely good news for some of the 24 per cent of Canadians who have a wireless-only connection for their home data needs when 5G launches in Canada in 2020 or 2021. Cloud cover spreading AI capabilities to all – In 2019, companies will accelerate their usage of cloud-based artificial intelligence (AI) software and services, with 70 per cent of AI adopters obtaining their AI capabilities through cloud-based enterprise software. Of the global companies already using AI, 58 per cent are using cloud enterprise software plus AI, which is predicted to rise to 87 per cent by 2020. Siri/Alexa/Google, what’s the weather like today, eh? – The industry for smart speakers—internet-connected speakers with integrated digital assistants—will be worth US$7 billion in 2019, becoming the fastest-growing connected device category worldwide. Does TV sports have a future in Canada? Bet on it – In 2019, 60 per cent of Canadian and American men aged 18-34 who watch sports on TV will also bet on sports, and the more often they bet, the more often they’ll watch. On your marks, get set, game! – The North American market for esports will expand by 35 per cent in 2019, with the global market to reach US$1 billion by the end of 2019. Radio: Revenue, reach, and resilience – Deloitte predicts global radio revenue to reach US$40 billion in 2019, with over 85 per cent of the developed world’s adult population tuning in weekly. 3D printing picks up steam again – Sales related to 3D printing by large public companies will grow at about 12.5 per cent in each 2019 and 2020, more than double its five per cent growth rate from just a few years ago. Sino the times: Connectivity-driven innovation from China – China will have world-leading telecommunications networks in 2019, laying the groundwork to provide for the gestation and maturation of at least three significant new industries, each of which could generate tens of billions of dollars in revenue annually by 2023. AI will run on Chinese semiconductors – Revenues for semiconductors manufactured in China will grow by 25 per cent to US$110 billion in 2019, up from US$85 billion in 2018. Deloitte also predicts that in 2019 a Chinese chip foundry will begin producing semiconductors that are specialized for AI and machine-learning tasks. Quantum computers are coming–lock up your data – Quantum computers (QCs) will not replace classical computers for decades, but Deloitte predicts the QC market of the future will be about the size of today’s supercomputer market – around US$50 billion. 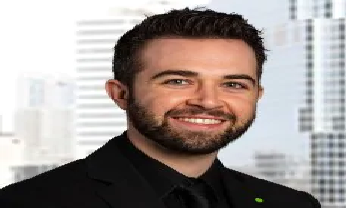 Deloitte’s Canadian TMT Predictions road show kicks off on January 10 in Toronto, followed by stops in Montreal, Quebec City, Kitchener-Waterloo, Vancouver, Ottawa, and other Canadian cities.